Elika Bergelson’s pathbreaking research on how babies acquire language will advance more quickly, thanks to a $1.25 M award from the National Institutes of Health. 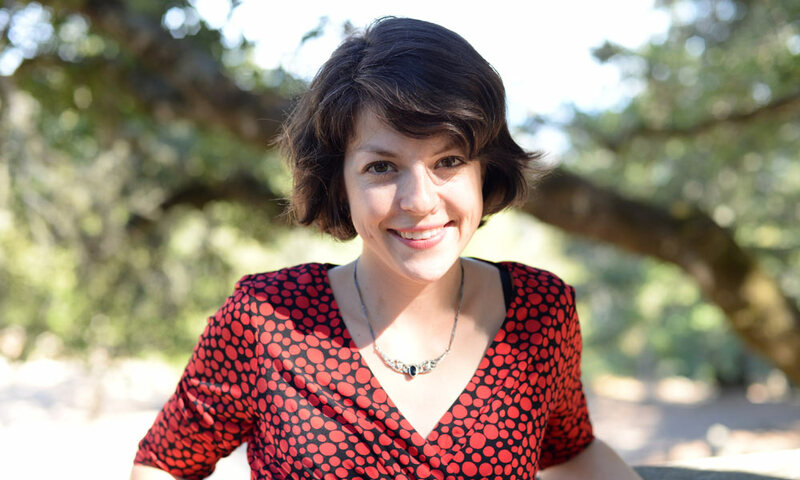 The NIH has recognized Bergelson as one of the nation’s “exceptional early career scientist” by naming her as one of this year’s 17 Early Independence Award recipients. The award, introduced in 2011, was designed to facilitate the careers of talented junior scientists by providing “an opportunity to start highly innovative research programs as early in their careers as possible.” The Early Independence Award will provide $250,000 a year, for five years to support Bergelson’s research. “This program allows researchers to propose highly creative research projects across a broad range of biomedical and behavioral research areas that involve inherent risk but have the potential to lead to dramatic breakthroughs,” said NIH Director Francis S. Collins. Bergelson, a newly-appointed research assistant professor in the University of Rochester’s Department of Brain and Cognitive Sciences, focuses on understanding how babies learn words between 6-to 18-months old from the visual, social, and linguistic world around them. Richard Aslin, the William R. Kenan Professor of Brain and Cognitive Sciences at the University of Rochester, noted that Bergelson’s work is unique in that it combines well-controlled studies in the lab that assess what words infants know, with in-the-home audio and video recordings of what words infants hear, and what they see when they hear these words. Aslin, who serves as Bergelson’s mentor, is the founder and co-director of the Rochester Baby Lab, where Bergelson will carry out her research. Since 1984 the Baby Lab has been used to facilitate research studies in many different areas of inquiry with children from 4-months to 7-years-old. “Elika’s research ideas complement and extend research that has been a focus of the lab for many years,” he said. Research at the Baby Lab relies upon the many Rochester-area families who volunteer to participate in research studies. Parents who are interested in participating can sign up here: http://babylab.bcs.rochester.edu/New_Baby_Lab/Volunteer_Sign-up.html. Bergelson has previously been awarded several National Science Foundation and NIH research grants and fellowships, including an NIH Post Doctoral Fellowship at the University of Rochester’s Center for Language Sciences. A native of Columbus, Ohio, Bergelson earned a bachelor’s degree at NYU, completed post-baccalaureate research at University of Maryland, and earned her PhD in psychology from the University of Pennsylvania.